Snow White & the 7 Dwarfs. . HD Wallpaper and background images in the Snow White club tagged: snow white disney princess classics princesses dwarfs dwarves. This Snow White photo might contain anime, banda desenhada, manga, desenhos animados, mangá, and quadrinhos. 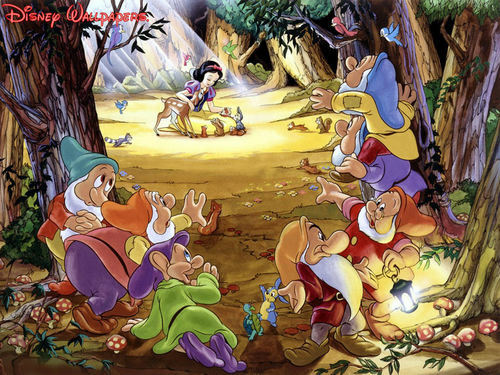 Why Snow White Is My favorito disney Princess.